Ph.D., University of Geneva. 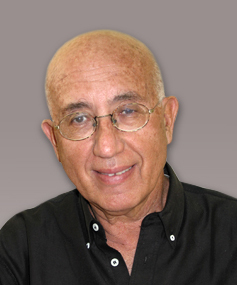 Organizational consultant on labor relations, management and organization of private and public organizations.Chaired the Israel Labor Relations Research Association, Consultant to the World Bank in Asia, Africa and Europe (India, Tanzania, Ghana, Nigeria, Burkina Faso, Uganda, Ethiopia, Hungary and Cyprus). Has 25 years of experience in academic teaching and research. Carmi, O. (1999). “The Israeli Pension System.” Ethics. Galin, A. and Carmi, O., eds. (1990). Management 2000 – Flexible Management. The Management Library. Blanpain, R. (ed), Galin, A., Carmi, O., (guest editors) (1991). “Flexible Work Patterns and their Impact on Industrial Relations.” Bulletin of Comparative Labor Relations, Vol. 22, Kluwer Law and Taxation. Carmi, O. (2004). “Social Dialogue and Social Systems, Israel and the European Union.” IMED, Rome.